Cescatti A (1997) Modelling the radiative transfer in discontinuous canopies of asymmetric crowns. Part I: Model structure and algorithms. Ecological Modelling 101: 263-274. Cescatti A (1997) Modelling the radiative transfer in discontinuous canopies of asymmetric crowns. Part II: Model testing and application in a Norway spruce stand. Ecological Modelling 101: 275-284. Chen JM, Rich PM, Gower ST, Norman JM, and Plummer S (1997) Leaf area index of boreal forests: Theory, techniques, and measurements. Journal of Geophysical Research 102(D24): 29429-29443. Eidels-Dubovoi S (2002) Aerosol impacts on visible light extinction in the atmosphere of Mexico City. The Science of the Total Environment 287: 213-220. Heavens OS and Ditchburn RW (1991) Insight into Optics. West Sussex: Wiley. Hirose T (2005) Development of the Monsi-Saeki theory on canopy structure and function. Annals of Botany 95: 483-494. Kishino M, Booth CR, and Okami N (1984) Underwater radiant energy absorbed by phytoplankton, detritus, dissolved organic matter, and pure water. Limnology and Oceanography 29(2): 340-349. Preisendorfer RW (1986) Secchi disk science: Visual optics of natural waters. 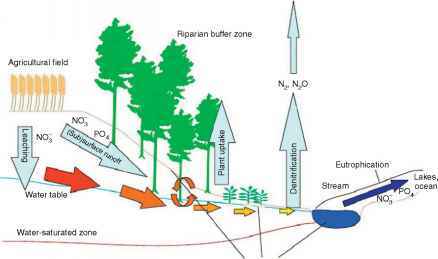 Limnology and Oceanography 31(5): 909-926. Thomason LW, Herman BM, and Reagan JA (1983) The effect of atmospheric attenuators with structured vertical distributions on air mass determinations and Langley plot analyses. Journal of the Atmospheric Sciences 40(7): 1851-1854.